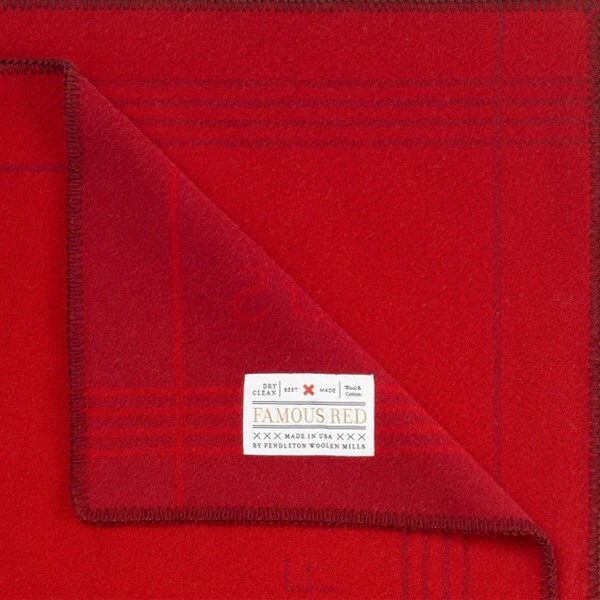 Came across this neat online store (that actually design some of their own stuff). It’s called Best Made Company and pretty much does what it says. They try to sell the best of all sorts of things, from shirts to toolboxes. There’s a slight leaning towards outdoorsy stuff, but also plenty of other things, including Best Made Soap. Their hardware is, as you’d expect, made to last for generations. It’s a real pleasure to just browse and admire the good old-fashioned workmanship. IdeaPaint: Turn Your Walls Into Whiteboards. Autistic children often have a lot of creative energy, but it doesn’t always end up in the right place. Why not turn their bedroom walls into whiteboards, and let them use the space for artistic expression? IdeaPaint is a special paint that creates a whiteboard-like surface, and is used in schools, offices and other spaces where creativity is encouraged. Video from DailyGrommet. Autistics are often hyper-sensitive to tactile stimuli, the feeling of certain fabrics, labels or seams rubbing against the skin, or the tightness of clothing. I know of one person on the autistic spectrum who can’t touch fleece with her bare hands (except her thumbs, for some reason). This blog has featured a clothing line that caters specially for autistic children; with soft fabrics, and no labels or seams that stick out. Belts can be a problem for some autistics, because they’re often either too tight or too loose, the holes never seem to be in the right place. Belt buckles are also a pain for autistics with poor fine motor skills. The Manuka Belt offers a neat solution. It has no buckle, and relies on the magnetized strap to keep the belt in place (even against 20 pounds of force). 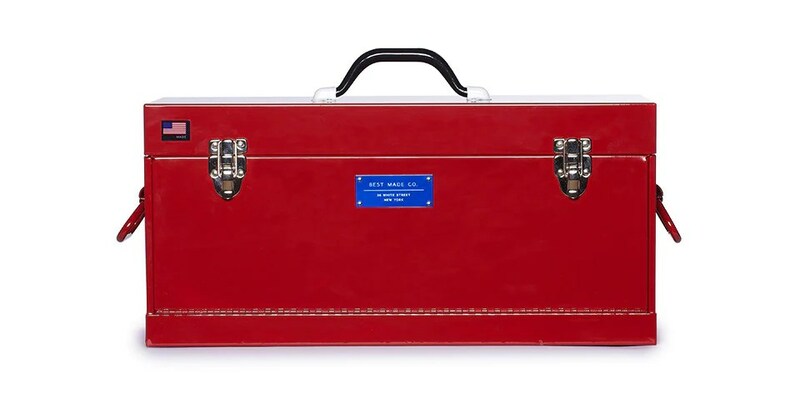 With no holes, it’s infinitely adjustable to within a fraction of an inch, ensuring a perfect fit any time. The belt is made of a neodymium rubber composite, so the magnetic material is mixed into the rubber itself. The belt is currently featured on Kickstarter, interested parties can sign up on the Manuka Magnetics website to be notified of when and where it goes on sale. Many autistics are sensitive to noise, including what non-autistics would regard as normal background noise (e.g. muzak and chatter in a mall, traffic sounds on the street, various noises at a fairground, chatter in a school cafeteria) . Being on the ASD spectrum, I personally find background chatter and muzak distressing after a few minutes. In such environments, I normally listen to slow music on my earphones, but it’s not convenient when holding a conversation at the same time. 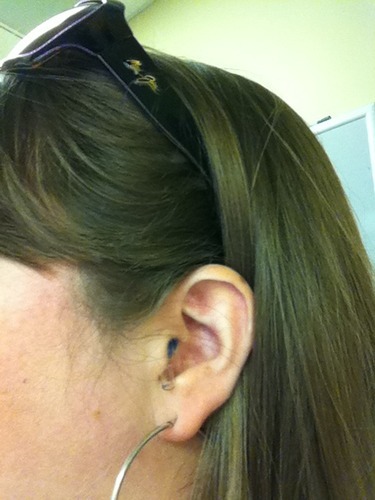 Some autistics get round the problem by wearing these earplugs from Etymotic. Unlike normal earplugs, the ER-20 is designed to reduce volume without blocking sound completely, and maintains a high degree of fidelity, so you can hear conversations or music clearly (just not as loud). Some autistic users have found them helpful in reducing the irritation of ambient noise. 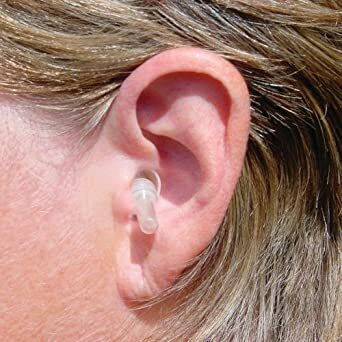 The earplugs come in different sizes, so be sure to get the right size for your ear canal. The earplug stem sticks out of the ear, so depending on how your ear canal is angled, it may (or may not) be conspicuous. For examples, see the pics below, courtesy of Amazon. The wearer in the second pic appears to have a ear canal that’s angled down, so the earplug stem is less obvious. For detailed product specs, visit the Etymotic website. What’s a Disorganized Person To Do? 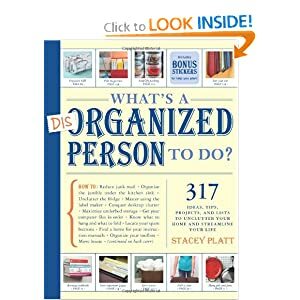 This well-organized book by Stacey Platt gives hundreds of useful tips for the organizationally-challenged. This is a book you can enjoy just browsing through; the layout is a pleasure to behold, and the photographs are beautiful. The author obviously knows her stuff, she’s a professional organizer who coaches high-value clients.